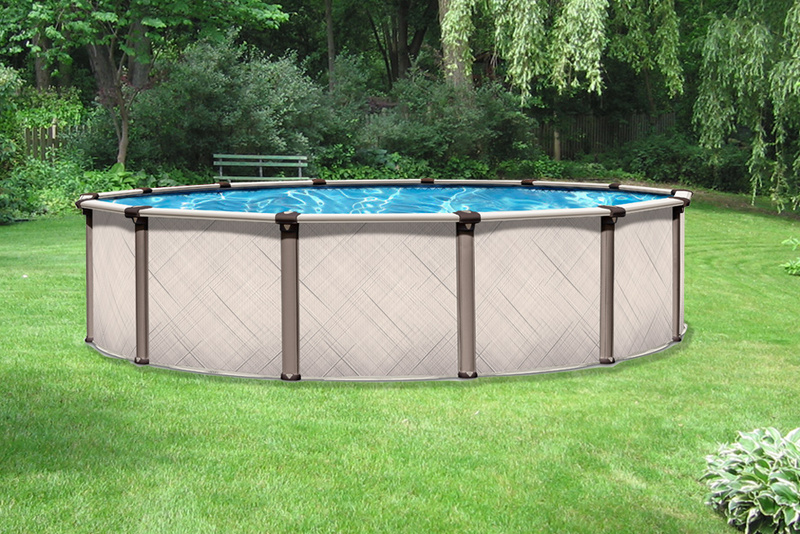 The Regency is the newest addition to the Pioneer Family Pools Above Ground selection.  This modern design blends unique design features with top of the line engineering to provide both a beautiful and durable swimming pool. With a variety of sizes and shapes to choose from, the Regency is sure to please any homeowner by creating a backyard retreat for years and years of enjoyment. An above ground pool differs from the inground and onground styles in the fact that it remains entirely on top of the ground. Typically, these pools are left free-standing or are surrounded by a wooden deck. This summer get ready for the cool life – submerge yourself into the serenity of it all and float out to freedom as if you really were living in that Tahitian paradise of your dreams. Ease of Installation: The assembly of an above ground pool is a quick and easy process that will have you swimming in no time. More Location Choices: With an above ground pool you can choose your size and location to best suit your needs. Conserve Space: There is an above ground pool that will fit just about any backyard. 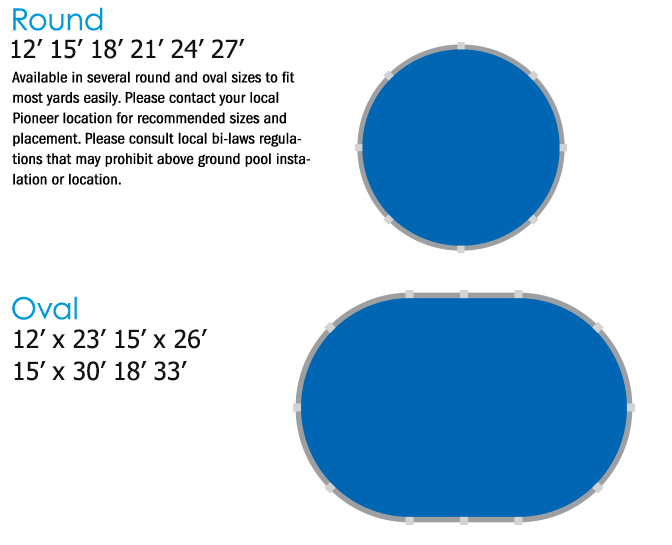 Browse our above ground pool selection to find the best fit for your yard.